McDonald’s in Russia: To close or not to close? 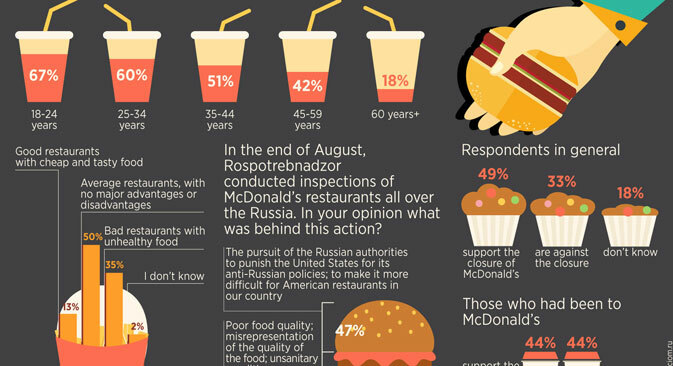 At the end of October, the Russian Public Opinion Study Center (VTsIOM) asked Russians what they thought about McDonald’s, including their opinions of the quality of the food and service and the decision by Russia’s food safety watchdog Rospotrebnadzor to close down some outlets. The survey took place on Oct. 18-19 and included answers from 1,600 respondents from 1,300 cities and villages.